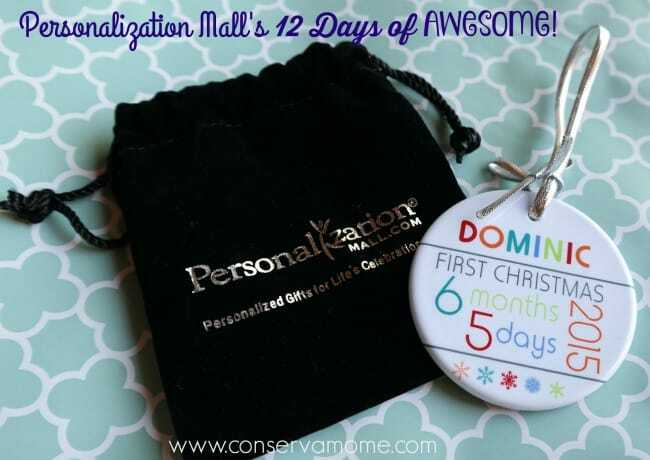 Personalization Mall’s 12 Days of Amazing! Disclosure: This is a sponsored post on behalf of Personalization Mall. All opinions are 100% mine. The Holidays are here and to celebrate this wonderful time of year Personalization Mall will be having some fantastic sales to cross off gifts from your list.Each day from December 1-12, Personalization Mall will be unveiling a new Gift of the Day where they’ll shine the spotlight on some of your favorite Personalized Gifts and offer an extra special coupon code! The Gift of the Day coupon codes are extra special because unlike their usual coupons, these can be used ON TOP of the sales price for some of their most popular gifts! But customers have to hurry because these coupon codes are so valuable, they will only be available for 24 hours! Today’s special is an Extra 20% Off Ornaments! 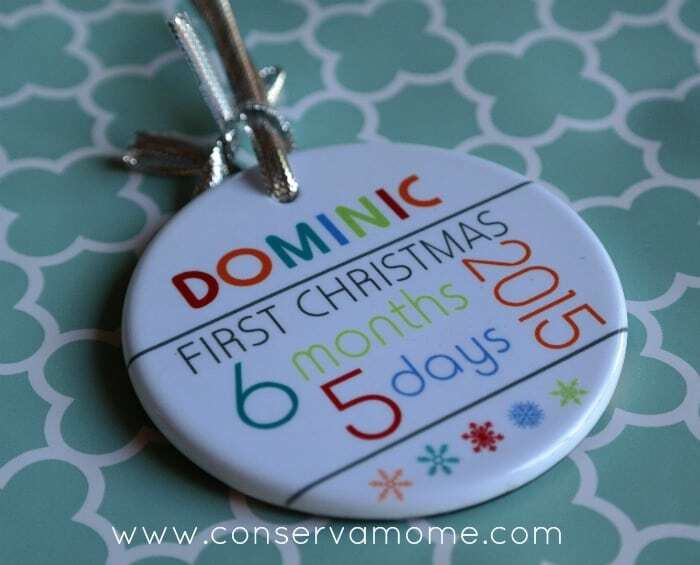 I had the chance to review one of these gorgeous ornaments, the Baby’s First Christmas Personalized Two Sided Ornament! This fun ornament celebrates baby’s first Christmas with their age on Christmas. I had one made for 5.0 to celebrate this wonderful milestone! This gorgeous Ornament is made with all the quality and detail that we all love from Personalization mall. With whimsical colors and styles your little one’s first Christmas will be celebrated and remembered with this beautiful keepsake. It also includes your picture of choice to remember this your little one’s magical smile during their first Christmas. This beauty is such a treasure to us because it will remind us of this beautiful first Christmas. Thanks to Personalization mall’s quality and selection will give you a keepsake you will treasure for years to come. 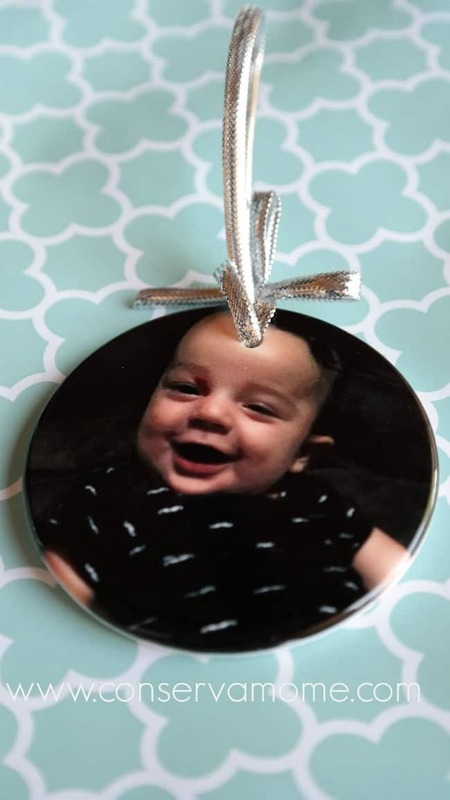 The Baby’s First Ornament is Crafted of porcelain; measures 3″ in diameter; includes a ribbon for easy hanging.Best of all it’s presented in a handsome velvet drawstring bag, making it ready for gift-giving and providing protective storage year after year. Make sure to check back daily for a new coupon code, fan photos, unique personalization tips, fan reviews, other gift suggestions and more. If you can’t wait to find out what tomorrow’s Gift of the Day will be, then check out the calendar’s hidden images for clues! Check out this great video below that features all the great deals during this fun promotion! Don’t forget to check the special out for today and don’t forget to get Social with Personalization Mall on Facebook, Twitter & Instagram! Thanks for the great ideas!! I love personalized gifts. They make things and events special. I love love that personalized ornament! It’s so cute! I may have to get one for my little one! Oh my do i just love their ornaments!! So super cute!! Yay for great deals! There are always such wonderful, unique gifts at Personalization Mall. I’ll have to remember to keep checking the daily specials! They have some really neat options to choose from! What a great way to commemorate that special day. I’ve used PM in the past and always had good success. I’ll definitely be checking the calendar for other deals.